Cut through the distractions with this tasty promotion! Associate comfort with your logo by imprinting it on these cookie cutters! 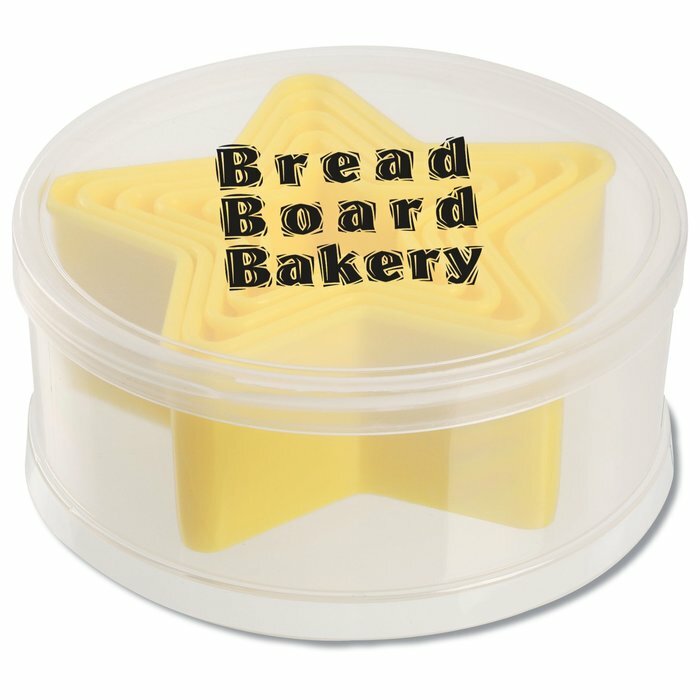 The durable polypropylene case holds the five reusable yellow cookie cutters. Each star-shaped cookie cutter is a different size, so you can create your own assortment of treats. Size: 1-15/16" x 4-1/2" diameter. Your price includes a one-color imprint on the cover.